This is a straightforward Halloween yard display representing a fenced-in cemetery. With wood chips instead of grass, the property is well suited to simulating a graveyard. Most notable is the intricate details of the gravestones, which look absolutely convincing and bear the names of local streets (which were presumably named after prominent locals). 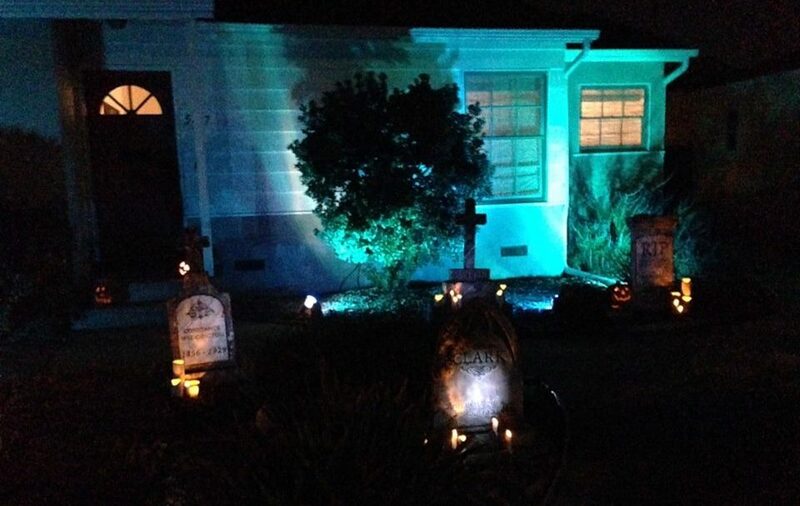 Convincing gravestones are the highlight of this Halloween yard display.